Named for the gemstone in which it was first discovered (which itself is named from the Arabic word meaning “gold color”), zirconium is a hard, lustrous, gray-white metal. It is common in very cool stars and has been found in the Sun and in meteorites. Zirconium seems to be common in Moon rocks. It is resists water, most acids and bases, so much so that it is used as a shield against corrosive compounds in the chemical industry. It will react with air under certain circumstances. Zirconium is used for steel alloys and colored glazes. It is not effected by the bombardment of neutrons, so it is used as an inner lining in nuclear reactors. Zirconium compounds are used for bricks, ceramics and abrasives, flashbulbs, explosive primers, lamp filaments and artificial gemstones. It is super conductive at low temperatures and is used in superconducting magnets. It is also used in deodorants. Zirconium has no known biological use. No known benefits to life processes. Zirconium is chiefly obtained from zirconium dioxide (baddeleyite) and zircon. These relatively heavy minerals are found in placer deposits and wind-worked sands, and are mined in Australia, South Africa, the USA, Russia and Brazil. CONGRATULATIONS TO THE WINNING TEAMS! 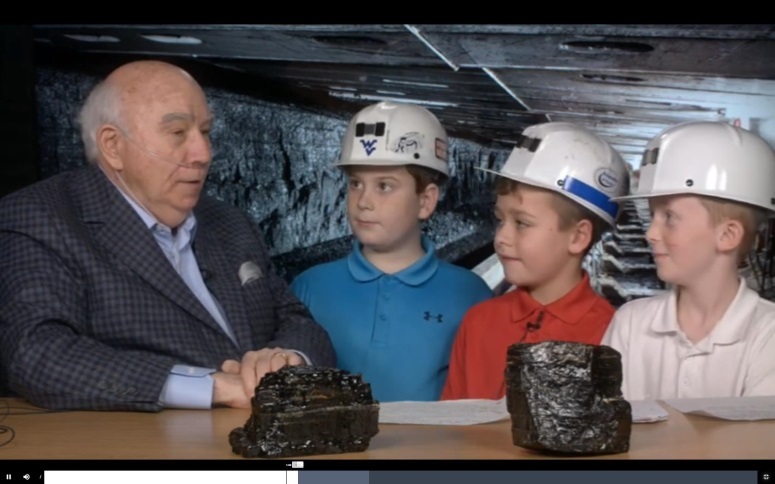 And, the winner of the Best Overall $1,000 Prize is . . .Team Let’s Learn about Coal with Maddox, Carson & Evan! Thank you to all of our contestants for creating videos that explain why mining is important in our lives! Thank you also to our Move Mining Next Gen overall sponsor Komatsu. Go to MoveMiningNextGen.org to see the videos. The contest will open again in fall for the next round so get your ideas ready! 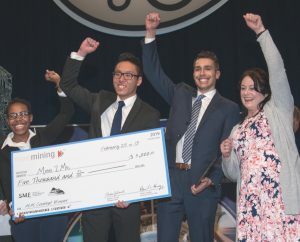 Please join us in congratulating Team Mine2Me, the winners of the Season 3 Move Mining competition. Presenting before a live audience and broadcast to viewers throughout the world on Facebook live, this team of three students from Canada — Kwan Fung, Robert Fuerderer, and Retsepile Sello — shared their idea on how to change the public’s perception of mining. Team Mine2Me presented their plan to develop short, video infographics on YouTube that can be shared on Facebook and on other social media platforms to reach a wide audience. They took home the grand prize of $5,000 for their creativity, hard work and focus. The support of Move Mining’s Overall Sponsor Komatsu has been indispensable throughout this program. 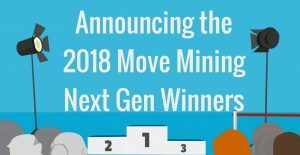 All five finalist teams from three countries, with members from several more countries, pitched their ideas to the expert judges in the Move Mining live event. Watch their presentations at Facebook.com/SocietyForMining made possible by Newmont Mining. Thanks also to “We Love Move Mining” Sponsor Coeur Mining. Go to MoveMining.org to learn more and view the five finalist videos. The contest will re-open in the fall. to see all of our latest updates!